With the urge to create and as a kind of escapism he founded Fodiator (after a genius of the flying fish family) in 2010. A melancholic blend of indie, pop, rock, folk and more....call it “commuter-pop”. His sound, made with all kinds of instruments in combination with his “falsetto” voice has a strong weakness... he often jokes. “The things we learn while selecting these 22tracks! Apparently, a 'Fodiator' is a genius of the flying fish family. Next to that, it’s also a project started by songwriter Joris van Ooij in his attic. He’s an self-taught musician who creates his songs alone and then performs them with his Dutch - Belgian band. Van Ooij likes to create an atmospheric and melancholic blend of indie, pop & folk, that reminds us of what makes acts like Efterklang, Menomena and Guillemots so great. Great stuff for the winter, that is coming’’. 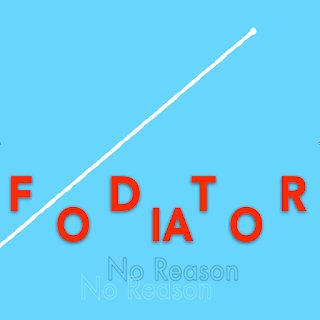 “Sometimes it is allowed to play plain pop music, so with this song by Fodiator. A rich layered sound and great story about the longing for the first sunny day of the season, told in just 2.24 minutes." "Joris van Ooij, musician behind Fodiator is offering his unpolished music, made on his attic, on the internet....We heard four quiet promising tracks that we hope will appear to hear on EP soon." "I found a new record from Fodiator, an upcoming indie band out of Holland. The record is titled “No Reason”, and sound pretty dam good, give it a listen…"